If you’re looking for a recipe for Clean Eating Banana Muffins you’ve found it! Like most kids, my kids love all things sweet. It can be challenging selecting foods for them, because there is SO MUCH processed foods in grocery stores. I have a rule that we don’t purchase anything with artificial flavors, colors, or high fructose corn syrup. This rules out a large majority of the foods in the snack isle. 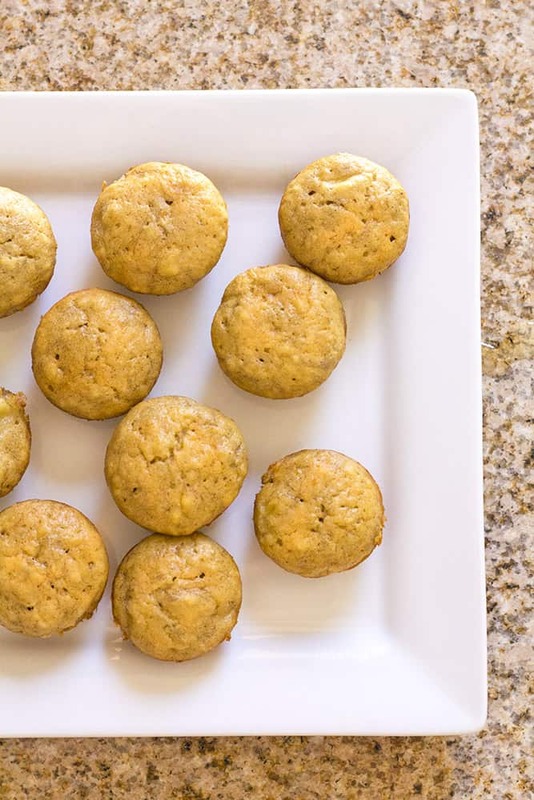 One of her favorite homemade treats is clean eating banana muffins. They satisfy her sweet tooth, while satisfying my desire to feed her real food. Here is how I make muffins for my family. They’re sweetened with bananas and maple syrup. They make a great breakfast, snack, or side for a lunchbox. I prefer to make mini muffins, as they seem to be easily manageable for my 2-year-old. I’ve included instructions on baking time for both mini and regular muffins. Preheat oven to 325 degrees. Grease muffin pan. Combine butter and maple syrup in a large bowl. Add in eggs, beating well after each addition. Add in bananas and milk, then mix. Add in baking soda, vanilla extract, and cinnamon and mix well. Slowly add in flour, combining completely after each addition. If you’re a visual learner, here is a quick video that shows the steps to making clean eating banana muffins. Once you try these muffins, you’ll want to make them again and again! Click on the image below to pin it to your favorite bread board! 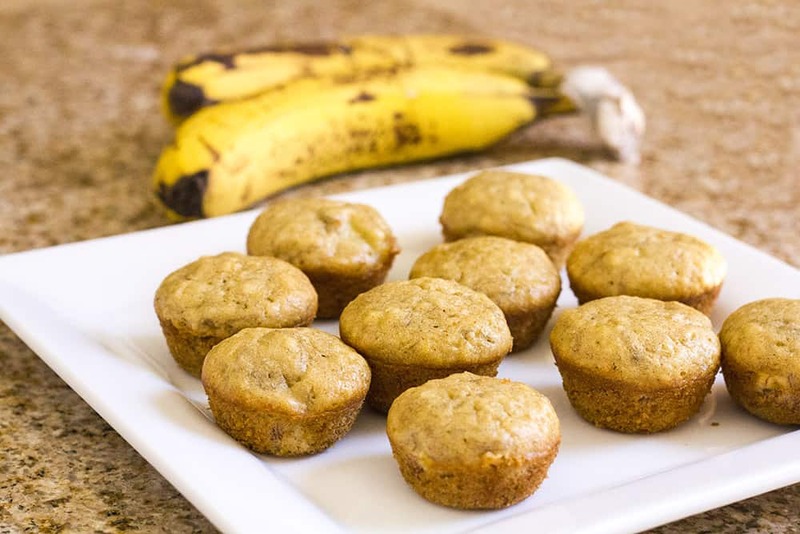 I hope you love these clean eating banana muffins! Could almond or coconut flour be subbed for the all purpose? You should be able to substitute almond flour for all purpose flour in a 1 to 1 ratio.